In California, water is a constant battleground. While the state, many municipalities and utilities, and advocates are moving us in the right direction of living within our means, the dreams of large scale water storage continue. Today, we are dealing with the effects of last century’s mega-infrastructure projects, the Central Valley Project and State Water Project, on our wildlife and environment. Similar projects are not going to fix the our water problem and will only serve to hurt the important services the rivers the impede. The Bureau is recommending an 18-foot raise of the existing Shasta Dam in northern California, which will drown a segment of the McCloud River protected by state law. The dam raise will destroy the cultural heritage of the Winnemem Wintu Tribe and possibly flood portions of two roadless areas on National Forest lands. Wildlife agencies have expressed concern that the Shasta Dam raise will reduce flood flows downstream in the Sacramento River and harm fish and wildlife habitat. 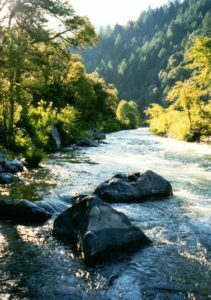 Modified flows could also harm critical habitat for threatened and endangered species on downstream public lands in the Sacramento River Bend Outstanding Natural Area and the Sacramento River National Wildlife Refuge. 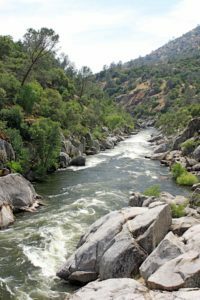 The Bureau is also finalizing its feasibility report and environmental statement for the proposed Temperance Flat Dam on the San Joaquin River Gorge northeast of Fresno. This 665 foot-high dam will flood nine miles of the river gorge and more than 5,000 acres of canyon providing outstanding outdoor recreation opportunities for up to 84,000 visitors annually. The dam will completely drown a segment of the river recommended by the Bureau of Land Management (another Interior agency) for National Wild & Scenic River protection and it will flood more than 2,500 acres of public lands with wilderness characteristics.